Simple priorities; clean room, easy price and casual dinning. 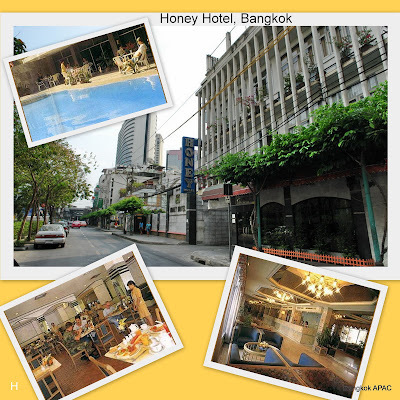 Air-con rooms (rooms are small), Swimming pool on the ground floor, Ground floor Cafe is casual menu, Restaurant is very low price - casual dining. The value add is location, location. A good option for a quick Bangkok layover. The bed was comfortable and the room was reasonably clean. Went for non smoking on the 3rd floor for 900 Baht. Kind of a unique "old school" ambiance, but not a good choice for a family. Nice wide hallways and an open staircase.